Key to Verona's extend-ability is its many bundled module extensions which allows you to easily implement common web elements. Among these is the LayerSlideshow module, a perfect solution to showcase your products and services in an image slideshow overlayed with animated title and caption. Easily sell your products using the SnipCart module, completely taking the hassle out of setting up a simple online shop. Other modules allow for carousels, thumb galleries, pricing tables all easily set up and covering all your needs for the most common element requirements. Other features includes a sticky template header, ensuring your website branding and main navigation is always visible to your users. Easily apply a background color or a parallax background image to each block of module positions or style each individual module position via 'Module Style Overrides'. A fully customisable typography set which includes easy to use color and font setters. 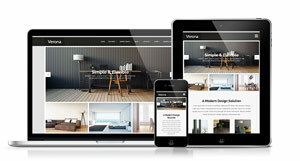 All this within a fully responsive layout ensuring the best possible viewing across all devices and screen sizes. Get designing today with the bespoke and innovative Verona Joomla template!